These Pilgrims Boots Are Made For Walking…………..And That’s Just What They’ll Do……….In Only 14 More Days. 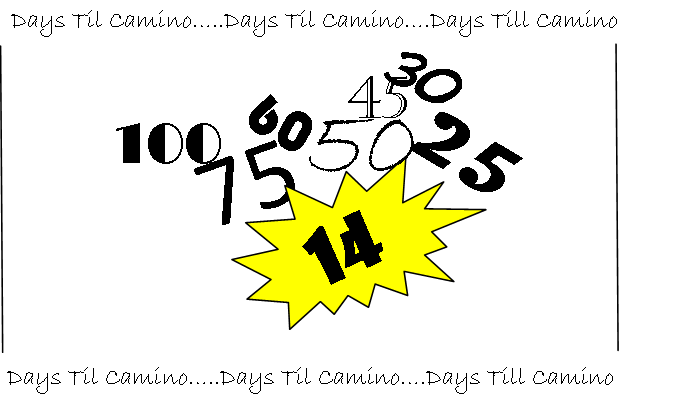 The veterans say that a Camino starts when you leave home, and we leave soon…Only 14 days, in fact. And it will take slightly more than 21 hours to get to Pamplona–the start of our walk. And planning for six weeks away from home and a leisurely walk of 500 miles takes lots of preparation. And we are checking off items on our lists every day. We’re nearly ready to go, and the planning is nearly complete. We have lots of lightweight things……..rain coats, cameras, shoes, shorts, shirts. Heck, we’ve decided sleeping bags aren’t lightweight enough and we’ve gone to sleeping bag liners. We’ve learned about playlists, cloud storage, video editing, and SD cards. Jackie has replaced door knobs and locks at home. House sitters are lined up. We are ready to roll. August 27 – Arrive in Logrono. The “Cool” city along the walk—Tapas bars, designer shops, cool one thousand year old structures. Staying an extra day to rest. September 2 – Arrive in Burgos. The cathedral is only 800 years old, and there are meerly ten museums. Staying an extra day to rest. September 7 – Arrive in Leon. Home of the “Holy Grail.” (Not the Monty Python one, either. 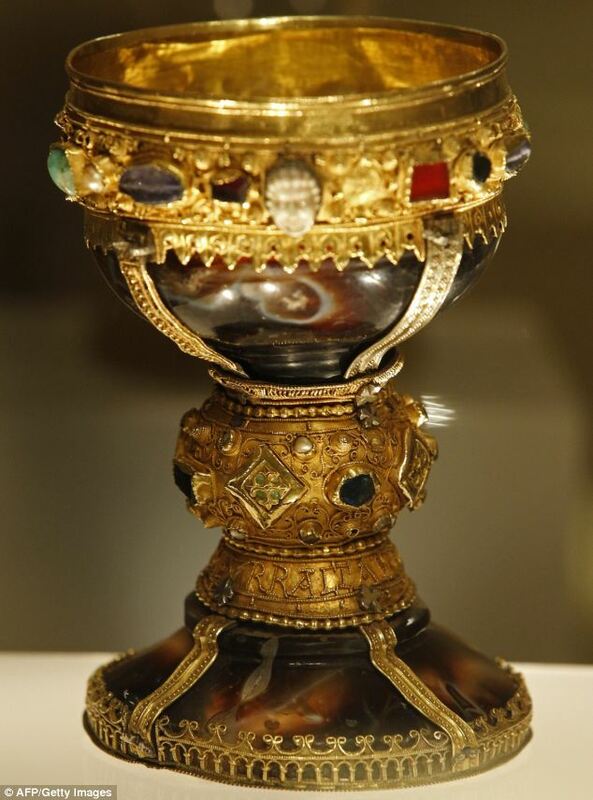 The Jesus’ Last Supper goblet one .) You don’t see that every day. Staying an extra day to rest. September 17 – Arrive in Sarria. Many pilgrims start in Sarria. Pilgrims who walk at least from Sarria to Santiago earn forgiveness. Gotta love forgiveness!!! September 22 – Arrive in Santiago. The Goal!!!!!!!!!!!!!! We’ve planned a few days to relax in Santiago, then off for a short break before heading home. …………I have some great friends. They are really accomplished guys. And I like to believe that I can measure my life by the acceptance that these great guys show me. And they have been so supportive in my preparation for this trip. …………Then I realized, the reason that they are being so supportive and interested is because they all know that if I can accomplish this, then they certainly know they could have done it………..And I’m sure they could do it with much less effort than I will be required to expend. And they don’t have to do all that walking to know it. …………They view me as that “disadvantaged” guy who comes into the last basketball game of the year with 30 second left…..The guy that everyone cheers for when he miraculously makes a basket. That must be why they are cheering so loudly. Two things….since we live so close, don’t hesitate to let us know if you need us for any “house” stuff. Also, I never looked at you as the last 30 seconds of the game guy. Maybe, like me, you’re a “pass first, shoot second” guy. Great post!